The latest 16m Pilot Boat for Harwich Haven Authority left Holyhead yesterday heading for their first fuel stop in Milford Haven followed by and overnight stop in Penzance. Saint Cuthbert will have a further overnight stop in Brighton before arriving in Harwich. This is the third Pilot Boat to be built for Harwich Haven Authority and will join her sister vessels Saint Brendan and Saint Christopher. 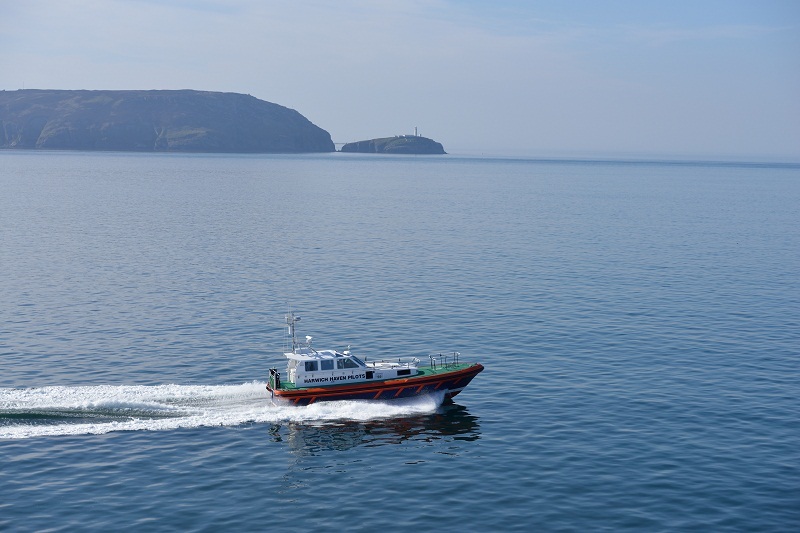 A fourth Pilot Boat is being built for the Authority and is to be delivered in September and will be named Saint Edmund. St Cuthbert heading out of the Port of Holyhead with South Stack in the background.